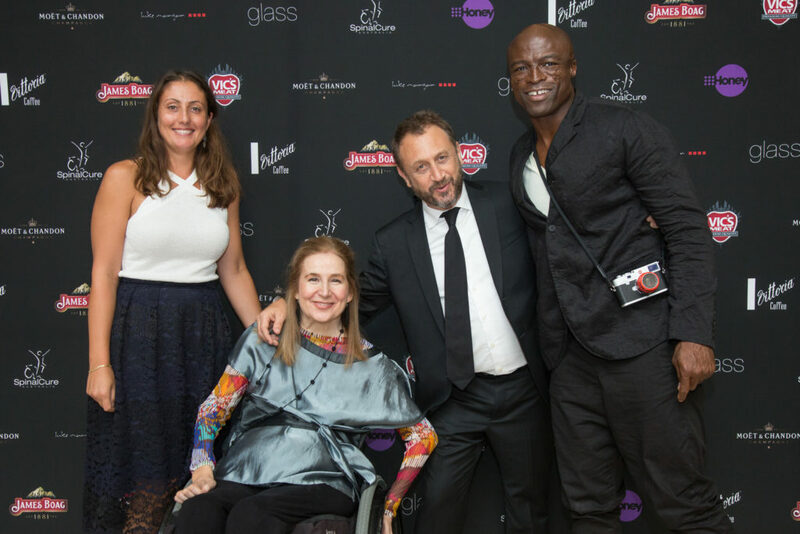 On February 27 SpinalCure joined together with Network Nine and new lifestyle brand 9Honey to celebrate the 89th annual Academy Awards and raise funds for spinal cord injury research. Sydney’s premier lunch event for the Oscars© was held at Luke Mangan’s glass brasserie at Sydney’s Hilton Hotel and saw a slew of Nine’s most famous faces out to mingle, enjoy the free-flowing Moet, and watch the live-stream of the main event over a fabulous, gourmet three-course meal. The event was hosted by Nine personalities David Campbell and Georgie Gardner and saw the likes of Erin Molan, Miranda Tapsell, Shelley Craft, actor Ben Mingay of twice-nominated Hacksaw Ridge fame, the legendary Sam Neil and even singer Seal walk the red carpet to attend. 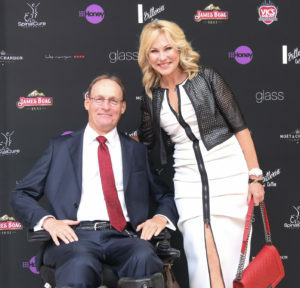 Special guest Kerri-Anne Kennerley also joined the festivities, lending her support to a cause that has sadly become near and dear to herself and her husband John in the last year. Importantly, the event also brought together some of SpinalCure’s most ardent and long-standing supporters and cherished community members to not only enjoy the glitter and glam and celebrate the awards, but to also celebrate the significant progress in recent years and exciting times ahead with the introduction of new research collaboration. This fantastic event is made possible by the generous support of many individuals and organisations and we must send out a big thank you to our partners at Network Nine for their incredible work in orchestrating such a dazzling affair, as well as all of those who attended, bought raffle tickets and made donations on the day. 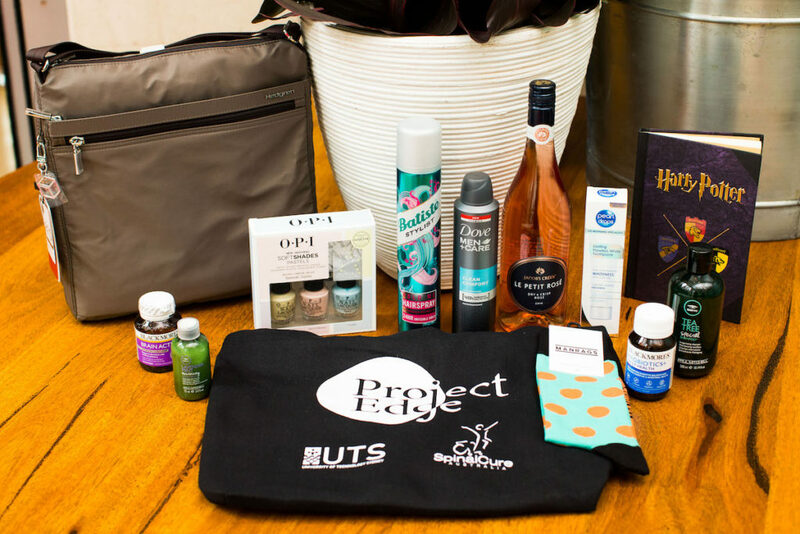 Our sincere gratitude also to the many donors and sponsors of the event who provide the opportunity for SpinalCure to do some extra fundraising on the day through our raffle prize draw, and to send our guests home with a beautiful thank you in the form of goody bags stuffed with great products and vouchers. In particular we would like to thank our friends at Popink for their very generous contributions and for putting the call out to their networks on our behalf. Thank you in turn to Hedgren Australia for donating 200+ fabulous Hedgren shoulder bags and a fantastic luggage set, also to Samsonite, Brother, VGM Imports, Maui Jim Sunglasses, United Book Distributors, The Cache Group of Companies, Synnex Australia, and Choice Magazines for answering that call and supporting us in our endeavor to raise much needed funds for spinal cord injury research. Thank you also to Cam and Sam Bloom, Sydney Seaplanes, Gai Waterhouse Racing, Jono Hennessy Group (via Melanie Kell) for their generous donations. And to Blackmore’s for their outstanding contribution, as well as to Glamazon, Healthspace, Dendy Cinemas, Virgin Group, Nine Live, Warner Bros, Manrags, OPI, Star and PR Events, Xtend Barre, Paul Mitchell, Sweaty Betty PR, Secret Bottle, Maritime Museum and San Pellegrino for rounding out the amazing goody bags. Thank you finally to the key sponsors – Vic’s Premium Quality Meat, James Boag’s Premium Lager, Moet & Chandon Champagne, The Luke Mangan Group, Little Creatures Pale Ale, Joto – The fresh fish people, Hilton – Sydney, Vittoria Coffee, and L.J. Parthenos & Son. The day was a wonderful success with much fun, laughter and champers enjoyed by all. We can’t wait to do it all again next year to keep raising the profile, funds and awareness needed to get us to the cure!